Natural zeolites are one of the most examined natural minerals. By means of new studies conducted on zeolites, new areas of usage are being discovered day by day. It is possible to produce modified zeolites that having many variable functions by using the ion exchange capability of zeolite. In this study 100% cotton fabrics was used in the trials. The natural zeolite, used in the trials, was provided from Enli Madencilik A.Ş. and originated from the Manisa-Gördes region. The manufacturing of Zn-Zeolite was performed. And then the Zn-Zeolite were applied to cotton fabrics. The characteristics of the cotton fabrics treated with zinc-loaded antibacterial zeolite are analyzed in this article. 1. Bozoğlu, A. Türkiye’de Çıkan Doğal Zeolitin Bebek Bezlerinde Antimikrobiyal Madde Olarak Kullanılması, İstanbul Teknik Üniversitesi, Yüksek Lisans Tezi, 2010. 2. Özaydın, S. Doğal Klinoptilolitlerin Türkiye'deki Kullanım Olanakları ve Gördes Klinoptilolitlerinin Isıl Özelliklerinin Belirlenmesi Üzerine Bir Araştırma, Ege Üniversitesi, Fen Bilimleri Enstitüsü, Doktora Tezi, 2005. 3. Devlet Planlama Teşkilatı Müsteşarlığı Dokuzuncu Kalkınma Planı (2007-2013) Madencilik Özel İhtisas Komisyonu Endüstriyel Hammaddeler Alt Komisyonu Genel Endüstri Mineralleri Zeolit Raporu, Ocak 2006. 4.	http://www.gordeszeolite.com/zeolit-klinoptilolit. (Date of Access: 21th of September 2018). 5.	http://www.chemistryexplained.com/Va-Z/Zeolites.html (Date of Access: 21th of September 2018). 6.	https://www.explainthatstuff.com/zeolites.html (Date of Access: 21th of September 2018). 7. Shiyouji, H.; Toshiyuki, T. Antimikrobiyal Regenerated Leather Paper, Japan Patent, No: 11172581, 1999. 8. Yoshikazu, K.; Tetsuya, T.; Teruo, K. Influence of Thermal Hysteresis on Properties of Polypropylene Containing Antibacterial Agent, Japan Patent, No: CAN 139:180967 AN 2003:170856, 2002. 9. Gong, T.; Wang, X.; Cao, Y. Application of Ag+-zeolite in the Antibacterial Finishing of Shoe Materials, CODEN: PKYGF6 ISSN: 1004-7964. Journal Written in Chinese. CAN 151:16362 AN 2009:212309 CAPLUS, 2008; 18(1), 44-47 pp. 10. Zhang, R.; Yue, G.; Shao, C.; Wang, H.; Xie, Y. Antibacterial Viscose Fiber Containing Silver-zeolite Antibacterial Agent and its Production, CODEN: CNXXEV CN1779004 A 20060531 Patent Written in Chinese. Application: CN 2004-10060290 20041126.Priority:CAN 145:64358 AN 2006:530678 CAPLUS, 2006. 11. Top, A.; Ülkü, S. Silver, Zinc and Copper Exchange in a Na-Clinoptilolite and Resulting Effect on Antibacterial Activity, Applied Clay Science, 2004; 27, 13-19. 12. Ülkü, S. Antibacterial and Bactericidal Activity of Nitric Oxide-releasing Natural Zeolite, Applied Clay Science, 2010. 13.	https://www.aatcc.org/test/methods/ (Date of Access: 21th of September 2018). 14. Scacchetti, A. Preparation and Characterization of Cotton Fabrics with Antimicrobial Properties through the Application of Chitosan/Silver-zeolite Film, 3th ICNF Conference, 2017. 15. 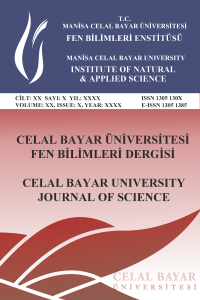 Can, C. Zeolit Mineralinin Tekstil Terbiyesinde Kullanım Olanaklarının Araştırılması, Ege Üniversitesi Fen Bilimleri Enstitüsü, Doktora Tezi, 2012.